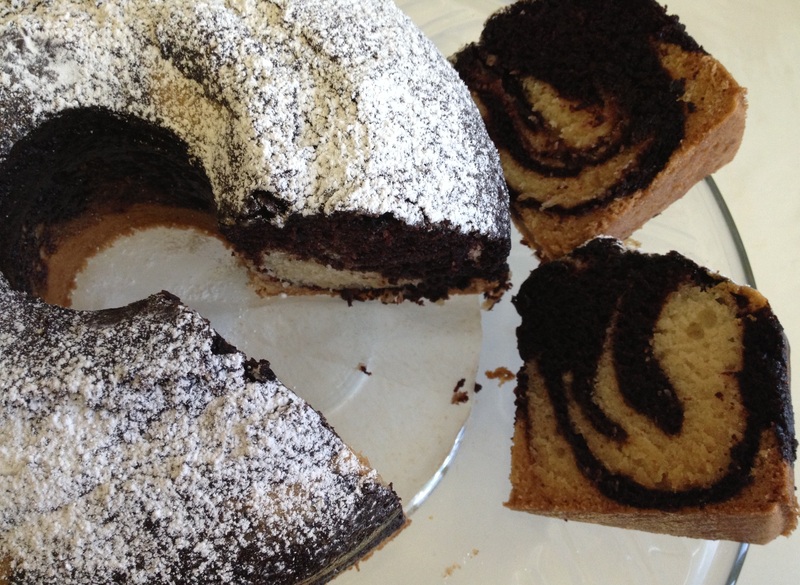 Marble cakes are a visual treat. You can never recreate the same design twice. Every design is unique and beautiful. This is similar to the Eggless Chocolate cake posted earlier. Follow the same method for chocolate and vanilla batter. In another bowl, mix all wet. 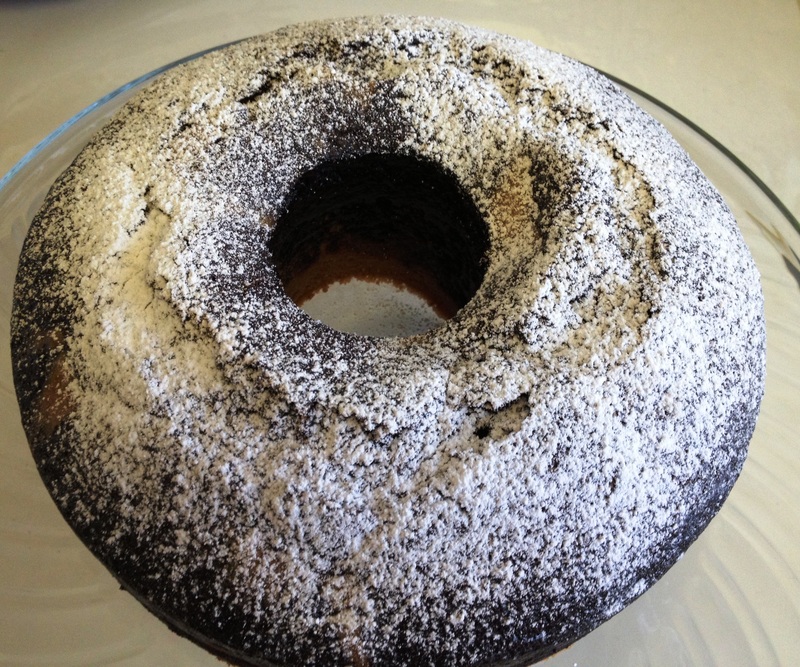 Grease and line a baking round pan or loaf pan or bundt pan and line with butter paper. Pour layers of vanilla batter and chocolate batter alternately. Take a wooden skewer or oiled knife and make zigzag motion in the batter. Don’t over mix. Bake in a preheated oven at 150 degree Celsius for 30-40 mins or until a skewer comes clean when poked in the center of the cake. 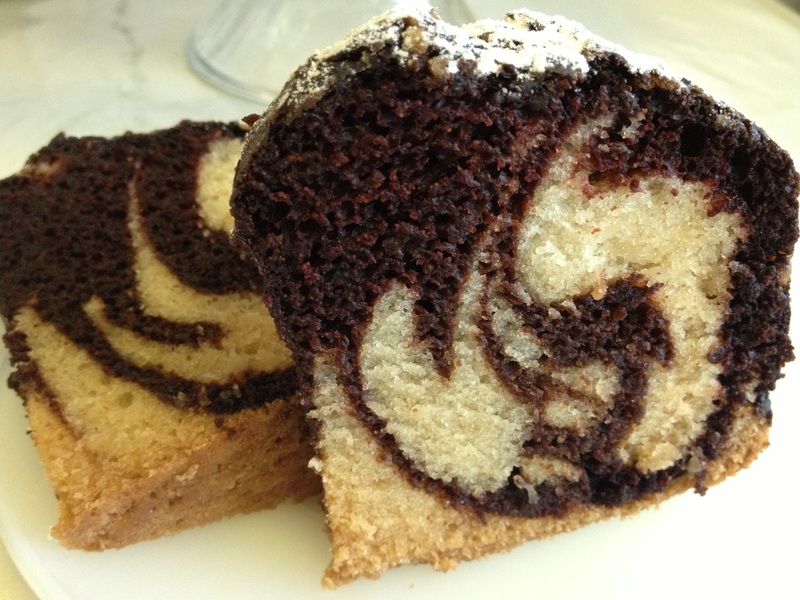 This entry was posted in Cake /Muffin, Eggless Bakes and tagged chocolate and vanilla cake, eggles chocolate and vanilla marble cake, eggless marble cake, marble cake by PriyaBaby. Bookmark the permalink.